The EUR/USD currency pair continues moving downwards as the price has fallen down for about 95 points today. 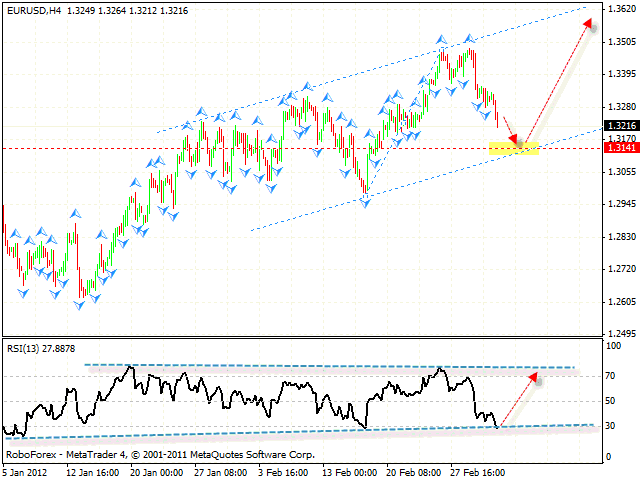 Currently Euro is at the level of 1.3250, and in general, it is moving inside the rising channel. The RSI indicator is testing the trend’s rising line (which is a support line here), we should expect a rebound and the start of the rising movement. If the pair continues falling down, we should expect the price to test the channel’s lower border at the level of 1.3140, where one can consider buying Euro with the tight stop. If the price breaks the lower border and leaves the channel, this case scenario will be cancelled, and the pair will continue moving downwards. The USD/CHF currency pair continues growing up and currently is moving at the level of 0.9095. At the H4 chart the RSI indicator is testing the trend’s descending line, we should expect a rebound and the start of the descending movement. The area for sales is the 0.9120 one. The closest target of the fall is the level of 0.8890. If the price grows higher than 0.9175, this case scenario will be cancelled. New Zealand Dollar has been falling down against American Dollar since the beginning of the day. In general, the pair is moving inside the sideways trend with a slight rising angle, at the level of 0.8340 (a support line is also here). 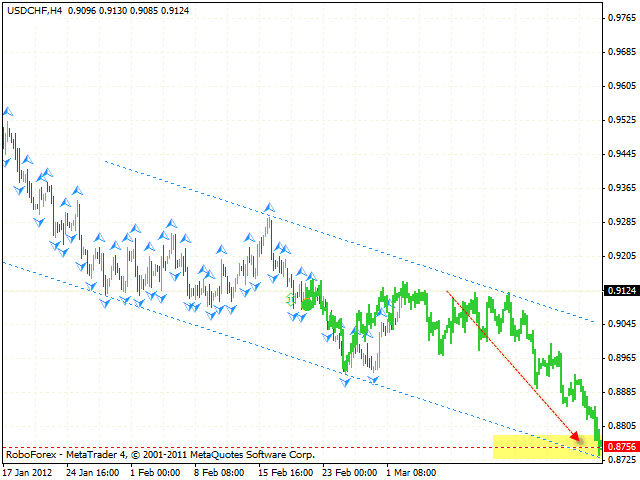 One can consider buying the pair with the tight stop, the closest target of the growth is the area 0.8490. However, if the price breaks the support level in the area of 0.8320, we should expect the pair to move downwards into the area of 0.8170. 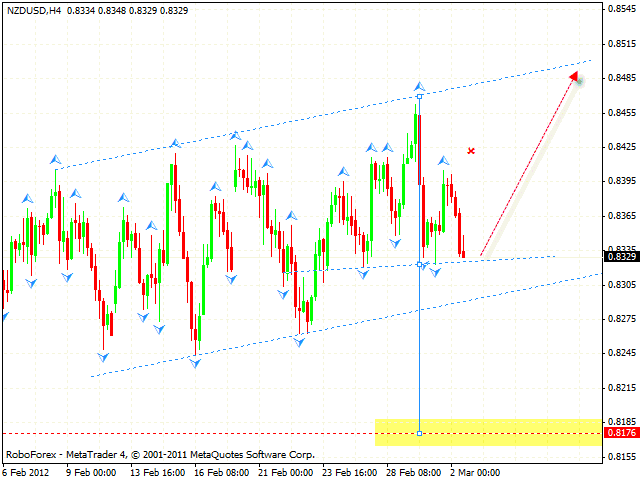 Australian Dollar continues moving inside the rising symmetrical pattern. The pair has been falling down since the beginning of the day and right now is moving at the level of 1.0778. 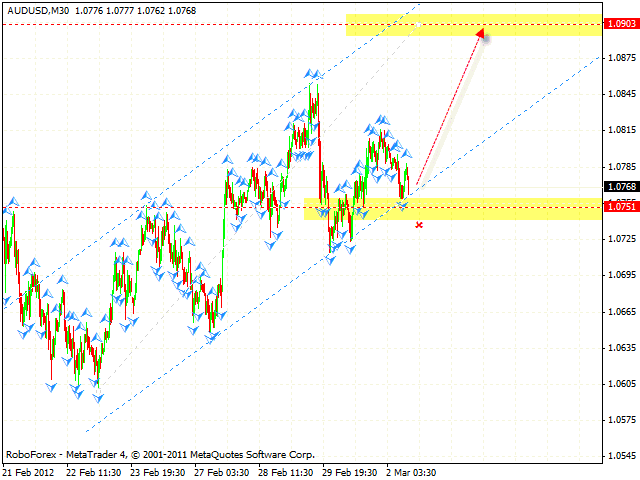 One can consider buying the AUD/USD currency pair with the tight stop below 1.0750. The target of the growth is the area of 1.0900.